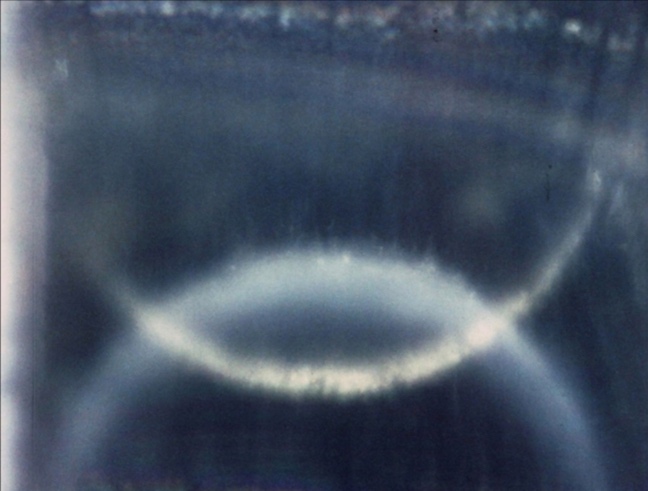 Microscope Gallery is pleased to welcome to the gallery Boston-based filmmaker Saul Levine for an evening of 8mm and super 8mm films organized by Lumia Lightsmith. “Seldom seen in the decades since its making, BREAKING TIME is perhaps Saul Levine’s Regular 8mm magnum opus. Culminating in almost two decades of work and study in the medium before shifting his focus and effort to exploring Super 8 and its sonic possibilities, this film is the final entry in his ‘Portrayal’ series, a group of Regular 8 films made throughout the 1970’s in which a portrait is also a betrayal, and one of the last films he made in the gauge. Saul Levine in attendance and available for Q&A following the screening. Introduced by Lumia Lightsmith. Saul Levine, born in 1943 in New Haven, Connecticut, is a maker and advocate of avant-garde film, video, and facebook livestreaming. He is former a professor at Massachusetts College of Art and Design where he taught for 40 years and programmed the longstanding and now defunct MassArt Film Society. His work has been screened nationally and worldwide, most recently in Shanghai, Los Angeles, Paris, and Rotterdam. Levine is based in Boston. Lumia Lightsmith is a “Dependent Programmer from Planet Earth, Rewiring the Minds of the Children for their Soular Nourishment”.